It’s art Jim, but not as we know it. No scribe engraved these forms. Its unknown source – found? 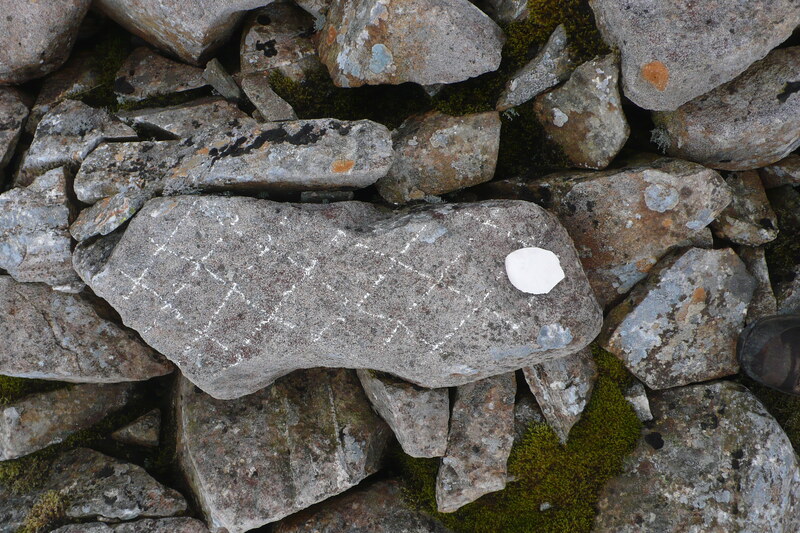 This chance meeting with a flake of chalk took place on top of Scafell Pike, a place full of modern monuments and offerings, to the dead mainly, many of whose ashes lie around the summit cairn, and older structures that could be interpreted as monuments; the Neolithic Axe working sites. 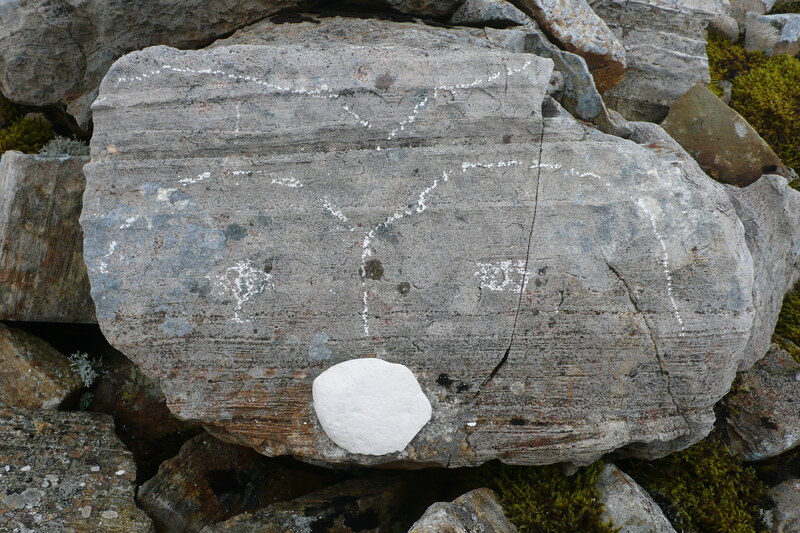 There is a continuity here in this wild place, others have discussed the offerings left by people in the Neolithic period at prehistoric stone working sites including Peter Topping, but here we have a modern offering – for reasons unknown. 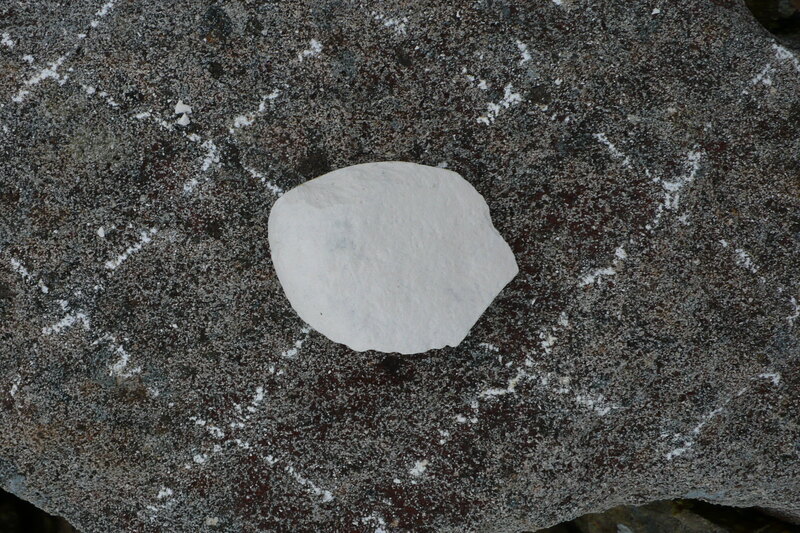 More recently I was reminded of this by a paper given at BRAG by Andy Merion Jones and Marta Diaz-Guardamino which directly inspired this blog following my serendipitous encounter with the white rock. The title of their presentation was Making the Mark: Imagery and Process in Neolithic Britain and Ireland and included a discussion on the Folkton Drums, below. Great article/poem?! 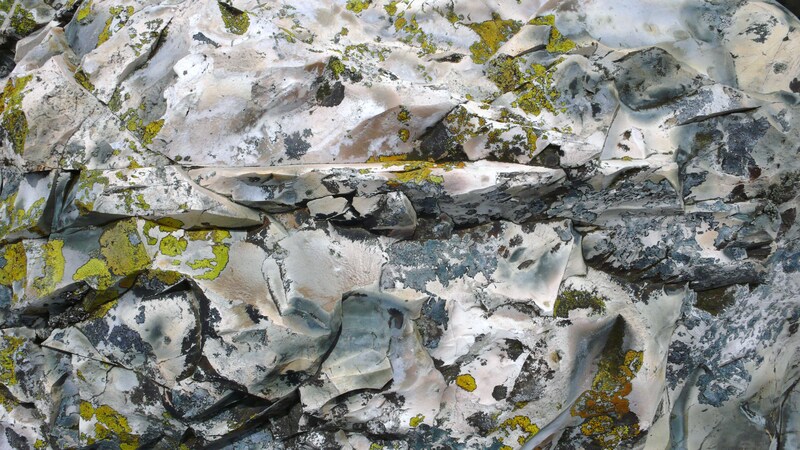 Interesting the way you made marks inspired by past motifs with your serendipitous find; gives a sense of connectedness across time.The colours and patterns in the rock are stunningly beautiful, thanks for sharing. Lovely post! The poem and the images are so evocative. Big, Small, Short, Tall, Have we got 'em all?